The Fjords Bergen Recliner, manufactured by Hjellegjerde of Norway offers Scandinavian design, comfort and quality at a much lower price than Ekornes Stressless ® leather recliners. The Bergen Recliner offers a clean, tailored look with a flared headrest for customers that like a more transitional look. It’s small scale makes it a good choice for smaller areas in the home or RV. Bergen reciners come with a ten year manufacturer’s warranty (see our warranty section for details). 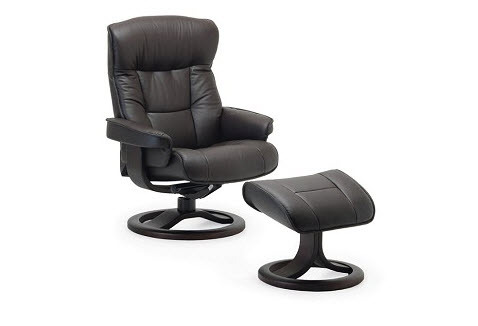 Fjords Bergen recliner is available in two sizes both small and large, making it possible for different size people to have matching recliners. Produced in 100% top grain leather, stocked leather colors include Nordic Line-cappuccino, havanna and sandel. Stocked wood base colors include cherry, espresso, walnut, teak and oak. This model can also be special ordered in 3 leather grades in a variety of leather colors. Steel frame and springs inside cold cured molded foam ensure stable and consistent comfort for years of use. The Bergen leather recliner features the Fjords “Active Release System” that allows the headrest to be adjusted, providing maximum ergonomic comfort in all positions. Now you can read your favorite book or watch TV with proper head, neck and back support while in the reclined position. 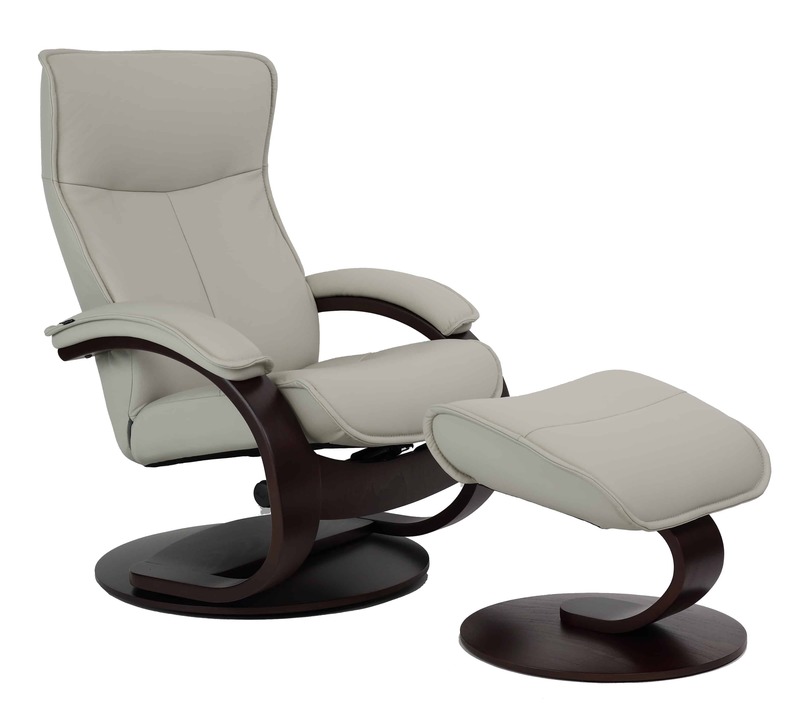 In addition to the reclining mechanism, this model features a 360 degree swivel. 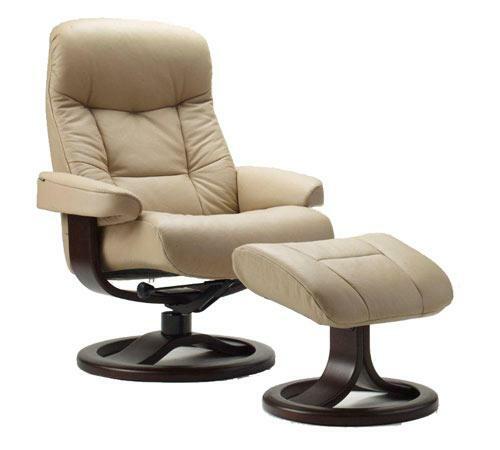 The swivel design allows movement of the recliner with just a slight push of your foot.